No one knows this better than the food industry. Appealing to our visual appetite, U.S. food manufacturers use about 15 million pounds of synthetic dye a year—five times the amount used in 1950. 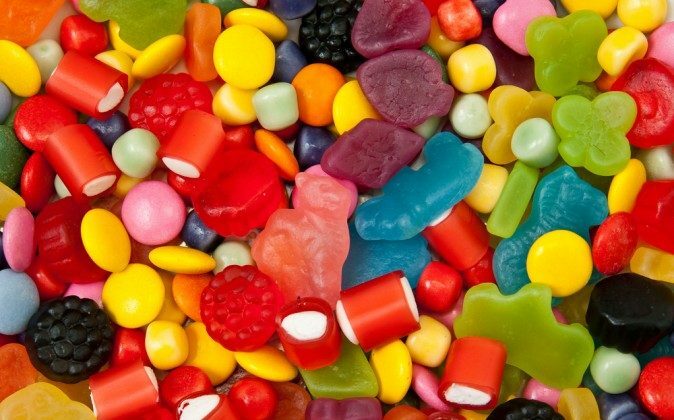 Manufacturers prefer to add artificial colors because they are cheaper, brighter, and more stable than natural color sources. Candy, cereal, and other products geared toward children are colored with the brightest pigments, but manufacturers tint more of your food than you might think. Meat, baked goods, beverages, pet food, soup, salad dressing, macaroni and cheese, ice cream, pickles, and cosmetics may all contain synthetic dye. Several dyes approved in the U.S. food system are banned in European countries due to evidence that they may cause tumors, organ damage, allergic reactions, and hyperactivity. The British government urged companies to stop using most food dyes by the end of 2009, and the European Union now requires a warning notice on the same synthetically colored food approved as safe in America. In 2011, an FDA food advisory committee determined that there was no causal link between hyperactivity and food dye exposure based on available evidence. 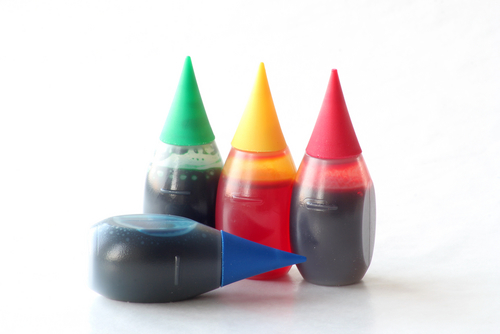 However, the committee urged FDA to conduct additional research to further investigate the potential for developmental or behavioral effects related to color additives. In a 2010 report “Food Dyes: A Rainbow of Risks,” CSPI lays out the latest science on food color safety. Blue 1 (Brilliant Blue) is banned in France and Finland. An unpublished study found that Blue 1 caused kidney tumors in mice, while industry studies found no toxicity in mice and rat tests. This color has been shown to cause allergic reactions, hypersensitivity, and hyperactivity. CSPI says Blue 1 requires more independent testing to determine safety. Blue 2 (Indigo Carmine) has been shown to cause significant occurrence of tumors, particularly brain gliomas male rats. It is banned in Norway. Green 3 (Fast Green) is prohibited in the EU and a few other countries due to its having caused significant increases in bladder tumors in male rats. CSPI calls for more testing before Green 3 can be considered safe. Red 3 (Erythrosine) is a suspected trigger of hyperactivity, and a proven thyroid carcinogen in animals. Based on this evidence, the FDA made a move to ban Red 3 in 1984, but it is still found in maraschino cherries, candy, and other foods. Red 3 was banned from cosmetics by the FDA in 1990. Due to growing consumer concerns, more companies now use natural coloring agents, such as turmeric, saffron, paprika, and beet extract. Natural color sources are exempt from FDA certification, but they must still be listed on the product label if used. But just because it’s natural doesn’t mean you’d want to eat it. One popular natural dye, annatto is sourced from a tropical fruit, but it has also been known to cause allergic reactions. Many natural dyes are safe—especially those with a long history of use— but some source material can be a big turn off. In 2012, Starbucks Corp. colored its strawberry Frappuccinos with cochineal extract, a red pigment made from crushed insects. Due to customer complaints, Starbucks has since switched to lycopene extract, which is made from tomatoes. Do you know what's in your foods? Label reading is key for healthy eating. Just remember that, for kids, Halloween is still one of the most exciting days of the year!